This high quality over chair table has been specifically designed to be used with Riser Recliner armchairs, but will work equally well with a fireside chair, standard recliner or couch. The over chair table provides a study and secure working surface and yet can be raised or rotated with one finger. Use the table for eating, writing, crafts, computer work, reading or games. It has a built in magazine rack and the top has a teak wood grain laminate finish. 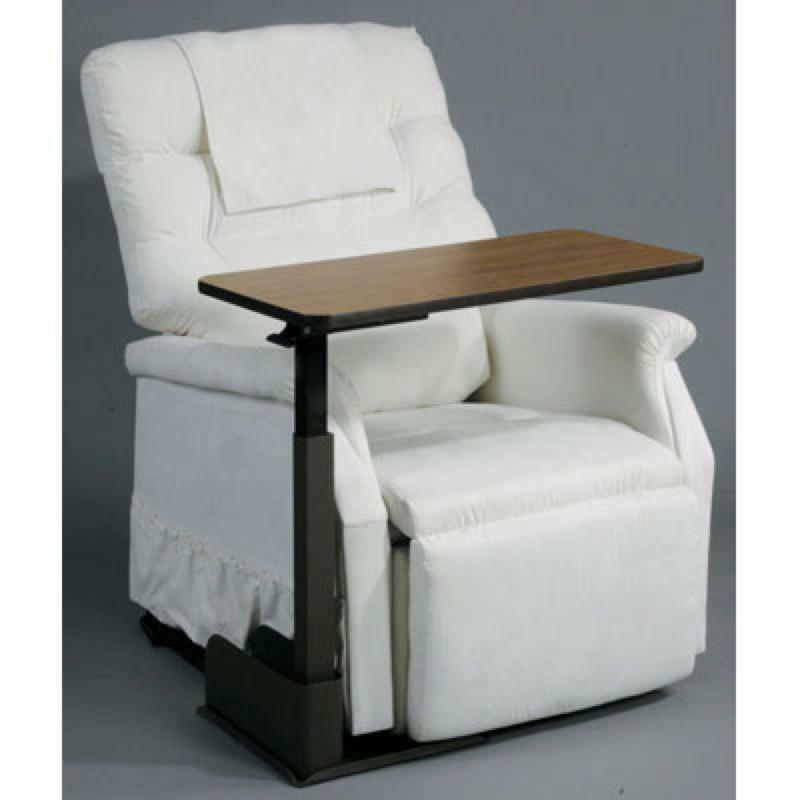 Lip at Front of Plate 1.5"
Manufactured specifically for Drive Medical rise recliner chairs. Delivery of this product will be made directly from the our distributor in approximately 3-5 working days. The product is supplied with comprehensive set-up and user instructions.